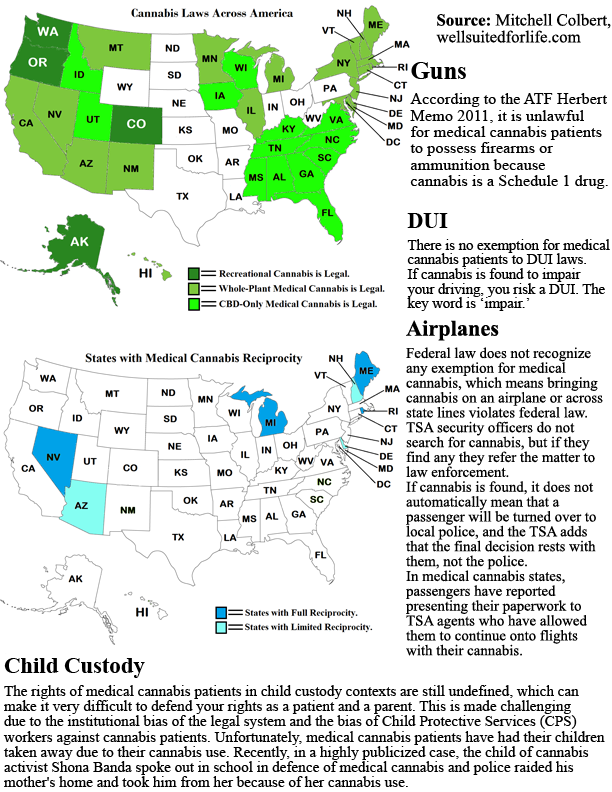 Do you want a handy map that lays out every recreational and medical cannabis state in the country? Ever wanted to travel to another state and wondered if your medical cannabis recommendation would be good there? How about if it is legal for patients to own guns? I’ve got one infographic that has all of that information and more. Please share it around widely, improve on it, do whatever you’d like. Just please give credit to the source. It may not be pretty, but it gets the job done. Enjoy, and travel safe. If you’re traveling abroad my advice is to do some research on the country you are going to and see if it is worth the risk. When I flew to Hungary I left my cannabis at home because it wasn’t worth the risk of a lifetime in jail for drug trafficking due to very harsh drug laws.